Aaron Goggans has over a decade of organizing, activism and transformation work guiding him in this work. A decade of organizing has instilled in him the value of recognizing the emergence of new tools for addressing complex problems and the need for personal transformation in people who want to create social transformation. Aaron believes we have to learn from the past and leave what no longer serves behind, this includes self-limiting beliefs about ourselves and our organizations. Aaron believes that change is not only necessary but inevitable. This means that organizations have to constantly reassess their mission and structure to fit the current context of their field. This is why visioning plays a crucial role in his process. Without a shared vision–a clear North Star–flexibility and adaptiveness can tend towards aimlessness at best or reproducing oppressive systems at worse. Yet even visions need to change as our wants, needs and capacities change. Therefore, organizations need the skills to vision what they want to achieve and how to implement and evaluate that vision strategically in iterative ways that create more possibilities for growth. Born to a social justice oriented Black family and raised in rural Colorado, Aaron has been doing work around racial transformation since he became a youth organizer in middle school. After years of interfaith and multicultural organizing in the South-West, he moved to the South Side of Chicago. While attending the University of Chicago, Aaron began organizing around public housing and in the labor movement. After college Aaron began doing organizational development work as a support group facilitator then later as an educator in a school on Chicago’s South Side. After a number of years in Chicago, Aaron moved to DC and focused on bringing visionary organizing to local housing and labor campaigns. Since moving to DC Aaron has done contract work for the Latino Economic Development Center [LEDC] and the Coalition for Nonprofit Housing and Economic Development [CNHED]. He was also co-facilitated strategic planning sessions with the Baltimore harm reduction coalition. 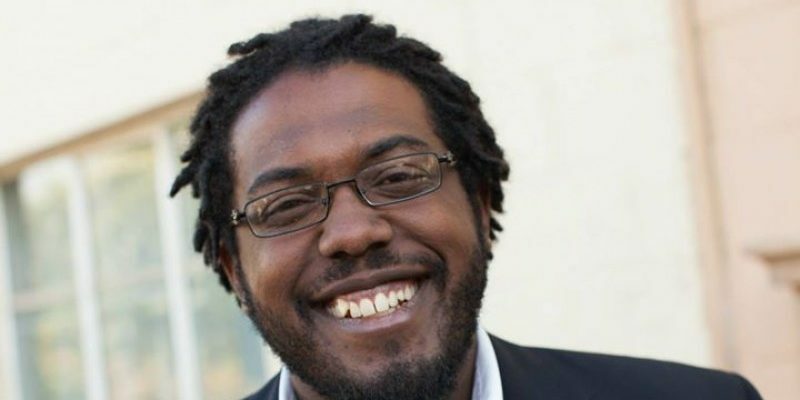 Aaron then spent two years working for the Employment Justice Center as a campaign coordinator where he co-founded the anti-oppression change team. At the EJC Aaron worked with the legal department to merge an anti-racism analysis into their community lawyering and legal clinic. Aaron left EJC to con-found the consulting firm, Transformation, Liberation and Consulting in 2016. In addition to his professional work, Aaron is deeply involved in the Movement for Black Lives. Aaron helped start Black Lives Matter DC in 2014 and has been working to build Black led, multi-racial campaigns for justice ever since. To that effect, he is founder of the Well Examined Life, a collaborative social justice project that seeks to analysis and synthesize the emerging analysis of today’s social movements. Over the past 4 years, Aaron has led dozens of trainings on overcoming white supremacy and anti-Black racism through the lens of political informed healing. Aaron has also led workshops on radical visioning and anti-racism. In addition, Aaron helped bring together several organizations in DC to begin to address how organizational racism and white supremacy show up in progressive organizations. Through this work Aaron has worked closely with Bread For The City, the Washington Peace Center, Fair Budget Coalition in different capacities supporting their internal anti-racism processes. From his home base in DC, Aaron has continued pursuing his dual passion of art and social justice. He believes that organizational transformation begins with telling honest, empowering stories about who we are, where we are and how we got here. Armed with these stories and a critical analysis of the social context in which those stories exist, we can begin the process of deciding where we need to go and how we want to get there. Aaron lives in Washington, DC.